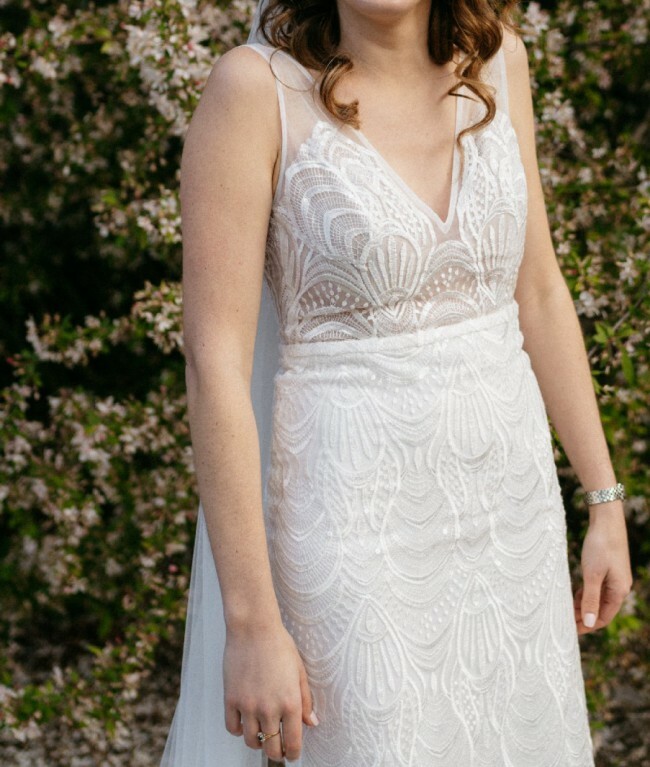 I wore the beautiful Harlie dress by Made with Love to my wedding in October 2018. The dress has no split. The lace is from Israel and the dress has subtle sequins/beading over the lace. It is very stunning up-close. 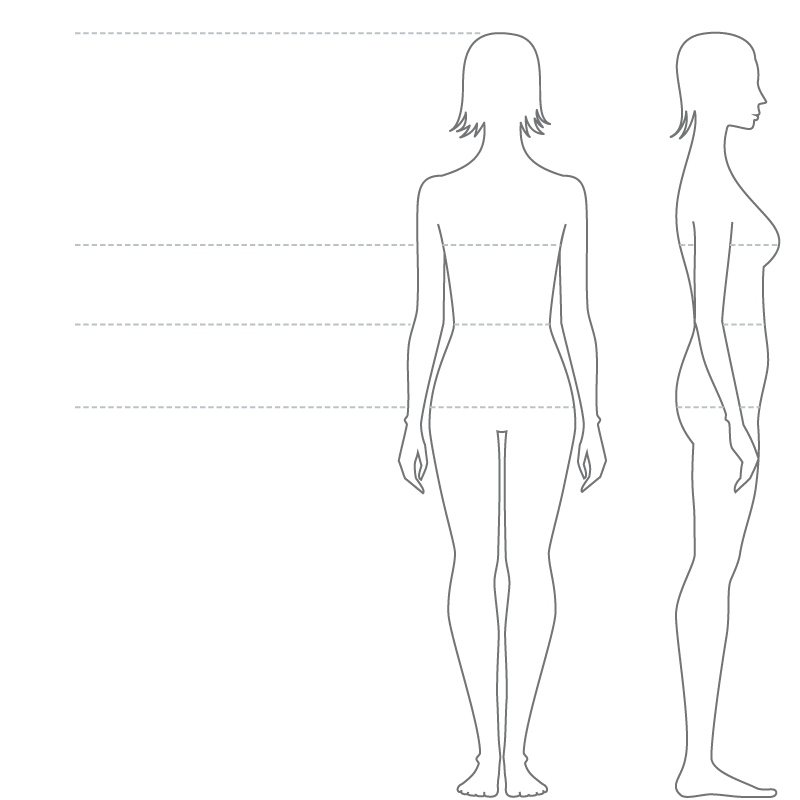 I am a size 8-10 and the dress was made to my measurements which were bust 94.5cm, waist 76cm, hips 104cm. I lost a bit of weight and my dress had to be altered to a smaller fit. I am 5 foot 8 and wore 7cm heels. My measurements hollow to hem is 145cm. I had many lovely comments about how flattering the style of this dress is. The dress looks art-deco inspired and I wore it to a winery wedding. I think it would suit both formal and casual events. Dress has been professionally dry cleaned and boxed. The Made with Love website prices don't include GST so the total cost paid was $3,344.00. Altered by the Sydney seamstress recommended by Made with Love bridal and I'm told all the alterations can be taken out. I am an 8 to 10. The dress was altered to fit more tightly. It was taken it at the bust, waist and hips. It was also taken in under the bum as I wanted a more fitted look. Soft cups and a bustle were added too.